Have you met Alexander’s new friend Rollin’ Justin? 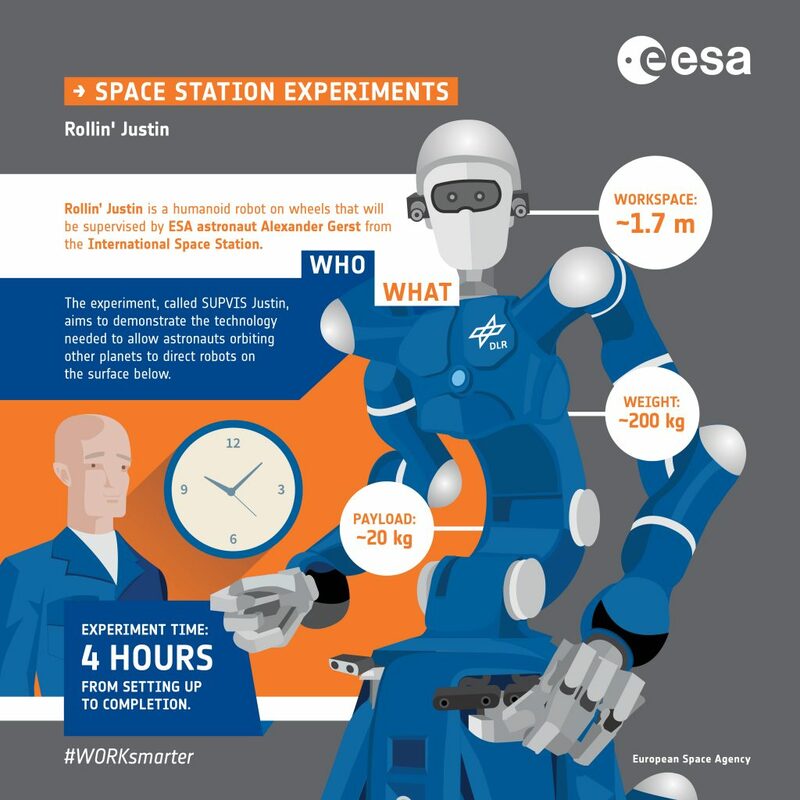 Part of the ESA-led METERON (Multi-Purpose End-to-End Robotic Operations Network) project, this humanoid robot from the DLR Institute of Robotics and Mechatronics is paving the way for astronauts to control robots from orbit. And now, you can watch him in action! 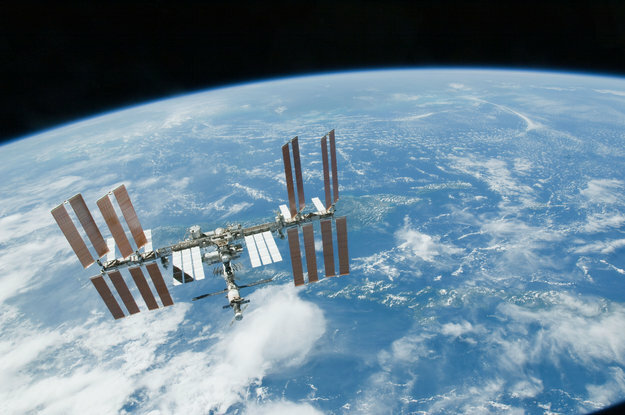 Flying at 28 800 km/h, 400 km above Earth, on board the International Space Station, Alexander is set to put Justin through his paces in the latest test of human-robot cooperation. 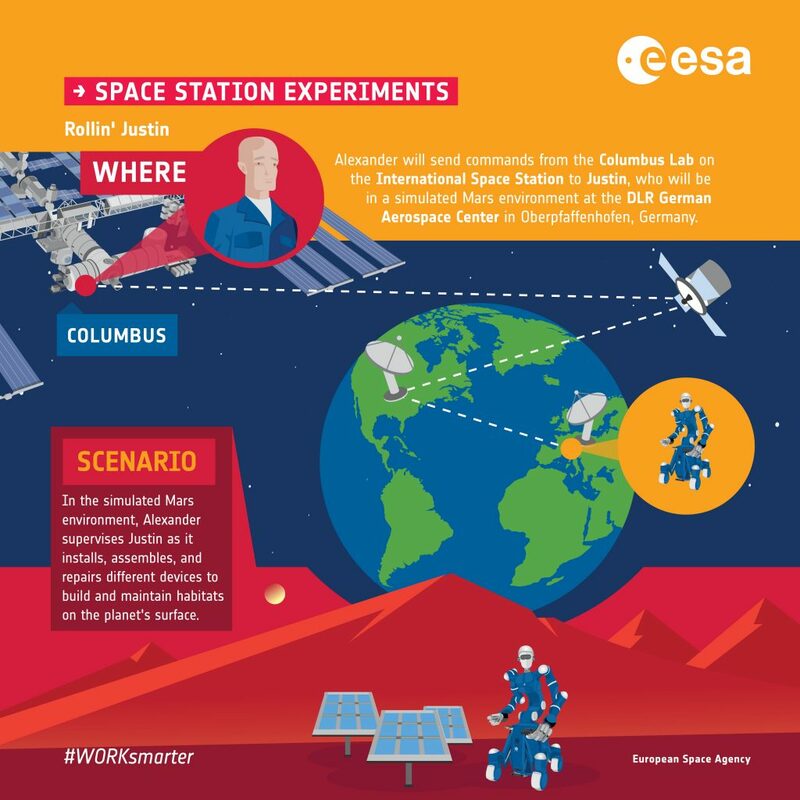 The test will begin at 11:30 CEST (09:30 Station Time, GMT) on Friday 17 August, with Justin stationed at the DLR German Aerospace Center in Oberpfaffenhofen, Germany. So, what exactly will Alexander be doing during the two hours he spends working with Justin? ESA’s Thomas Krueger from ESA’s Human Robot Interaction Lab explains: “DLR’s Rollin’ Justin possesses a high level of autonomy. For Alexander it will be more like supervising Justin than performing direct remote control. The idea is to make interaction as intuitive as possible, while building up the complexity of tasks the robot is required to complete. 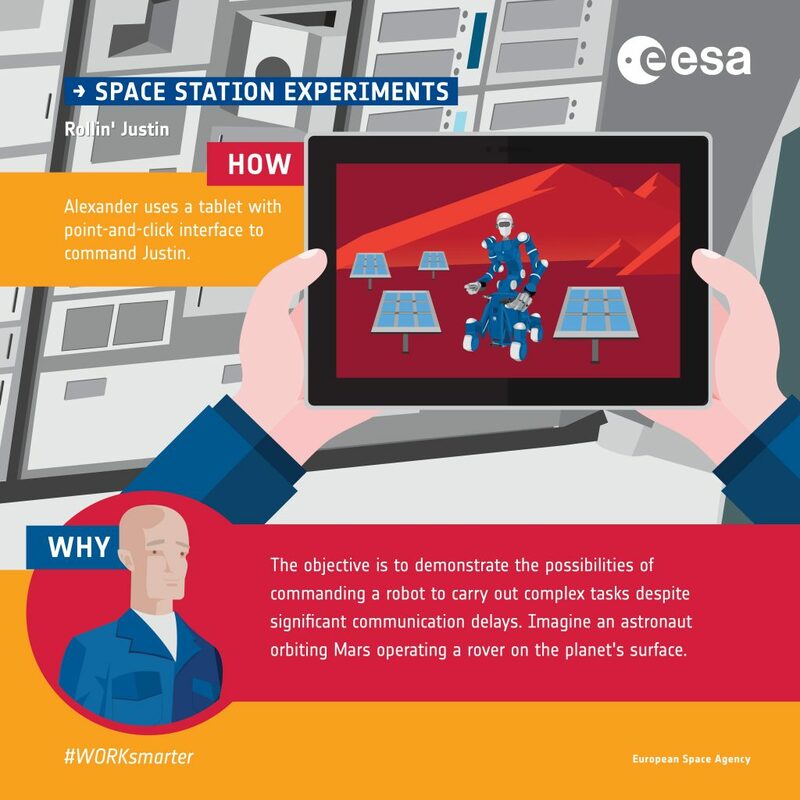 Eventually, it’s hoped robots like Justin will become genuine co-workers, allowing humans to explore unknown environments like Moon and Martian surfaces without the hazard and expense of landing. The SUPVIS-Justin test will take four hours in total. This includes set-up, software updates and two hours of interaction between Alexander and Justin. Tune in at 11:30 CEST to watch Alexander working with Justin live and find out more on the METERON website.